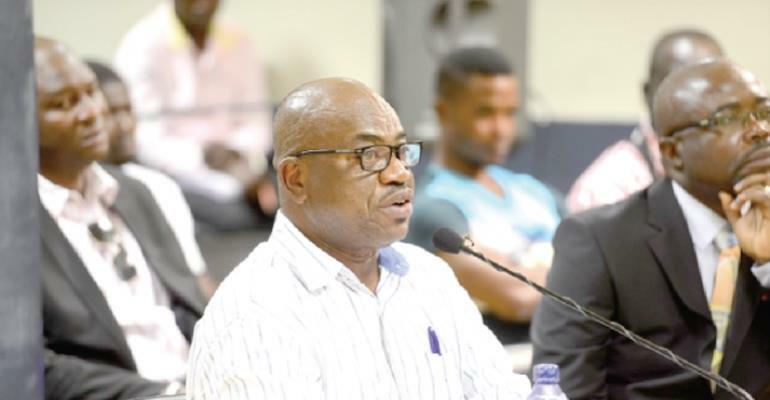 The vice chairman of the Premier League Board, George Amoako believes are the media must be blamed for his outfit not being able to secure sponsorship for the country’s elite division. The organizers of the Ghana Premier League [PLB] has failed to secure a headline sponsor for the elite division for the past three years. But the football administrator says the seemingly unattractive nature of the league is down to negative reportage from the media. “The damage the media is doing to the Premier League makes us struggle to secure sponsorship for the league. “The damage being done to the league is very frustrating. I agree that we must do things differently from the way we have been doing things but when you have the media talking every day to damage the Premier League you will not have sponsors coming in to sponsor the league. He also disclosed the difficulty the board is facing in securing a headline sponsor for the domestic league. “We are talking to people but the system is not that friendly to secure sponsorship and the money you need to pump in as sponsorship is not a small amount of money. “We are not talking about GHC1, 000.00 but rather US$3m minimum a year so the question is, how many organizations in Ghana can cough up that huge amount of money in the economy that we are so it is obvious that securing the sponsorship is not easy,” he added. The 2017/18 Ghana Premier League season kicks off this weekend on March 4 at the various stadia.